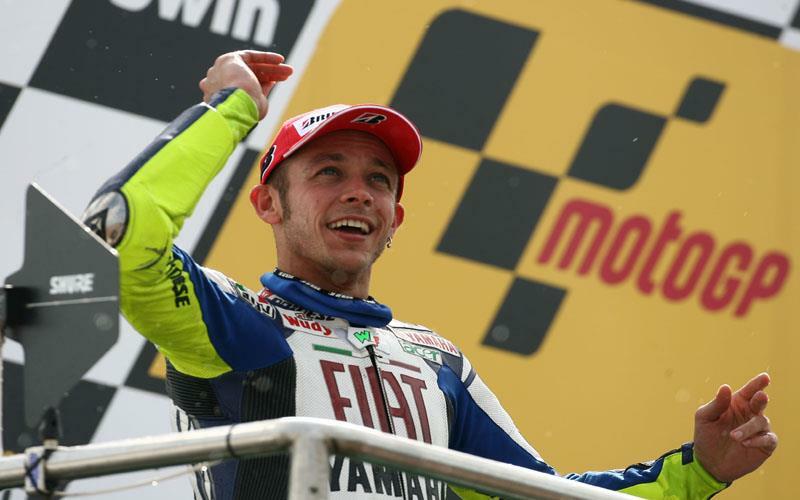 Valentino Rossi was less than enthused by having to settle for second place at Donington Park in his 200th MotoGP start. The seven-time World Champion couldn’t match the pace of the reigning World Champ, and was left to partake in yet another Pedrosa versus Rossi epic battle to decide on second spot. And it was the Italian who won through, extending his championship lead over his Honda rival. "I am quite happy about this result, although of course I would have preferred to have been fighting with Stoner for the win,” said Rossi. “I got a good start today and I tried to stay with Casey, but in some corners he was faster than me and it was impossible to keep up with his pace as the race went on. “I knew that second place was important because of the points so I had to win my fight with Pedrosa in the middle of the race! “Luckily we took second and now I have extended my lead by four points, which is very important for our championship. “Unfortunately this weekend we made some mistakes when it was dry on Friday, and then because of the wet yesterday we weren't able to work on them until today, when it was too late to make things perfect. “Anyway we did the best we could so thanks to all my guys. “We are leading the championship but Stoner showed his potential today so I think that this hard battle between us all is going to continue race by race. “I am glad we only have a few days to Assen and I am looking forward to doing better there."